An enchanting home possessing character and charm, this cottage is a magical escape. Located in a long-established, waterfront neighborhood, it is convenient to all local amenities. With a metal roof, wood clapboard siding, and stacked porches, this cottage conveys the impression that it has been here for generations. Highlights include beamed ceilings, wide plank flooring, stone fireplace, reclaimed, handcrafted trim and doors. 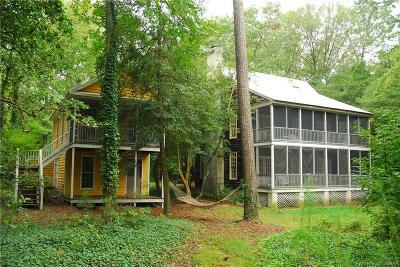 A detached guest house with screened porch, above a large storage room, has a tree house quality. The path through the trees leads to the private dock with boatlift on Mosquito Creek - minutes to the Bay. Enjoy this celebrated, coastal, country life in this timeless waterfront cottage. Directions: From White Stone, Go Southeast On Chesapeake Drive/Rt. 639; Take The 2nd Right Onto Mosquito Point Road./Rt. 641; Property Is On The Left.